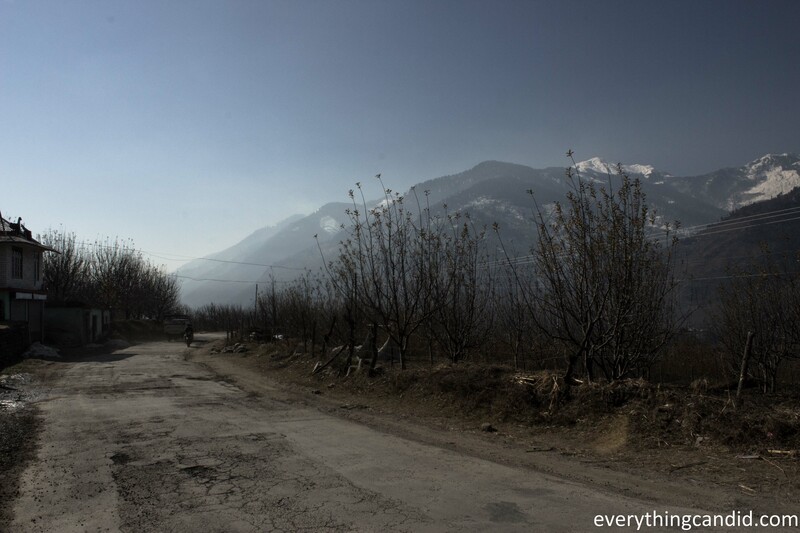 Recently we did a self-drive road tripping to Naggar in Kullu District near Manali in Himachal Pradesh. As soon as annual snow fall arrived in North, it brought with it an itch to take up one last road trip of 2014 towards snow capped mountain range of Himalaya. 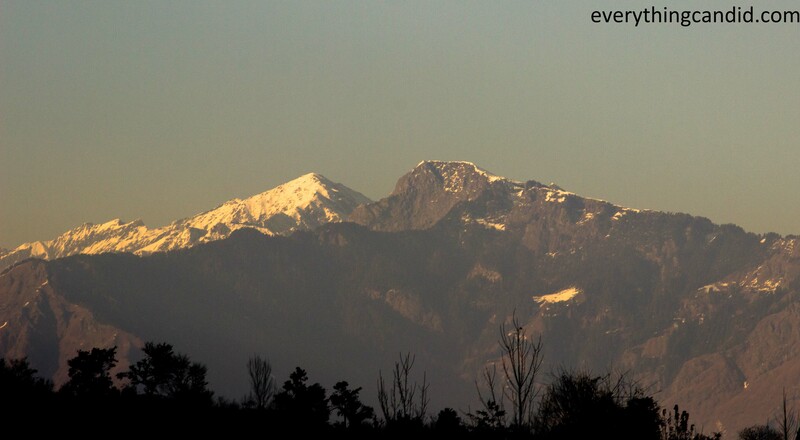 Snow Capped Mountain in Kullu Valley: Reason for this road trip! 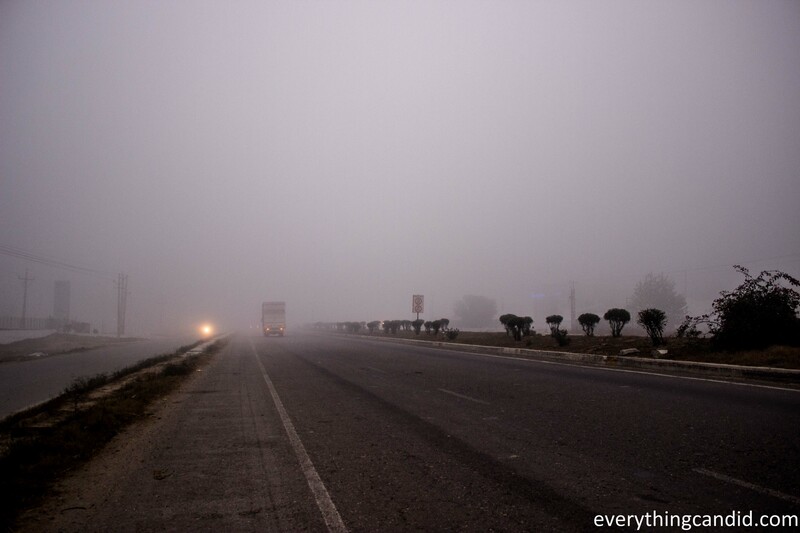 The year 2014 had already been a great year as a road tripper for us, and after having driven on dangerous roads of Kinnaur and Kumayun, scenic roads of Rajasthan, this last road trip of 2014 gave me an opportunity to drive through extreme fog and meander on roads through snow. Encountering dense fog en route to Naggar: Testing my skills! So during long weekend of Christmas, after much deliberation we finalized another off beat location Naggar in Kullu District 22KM before Manali. 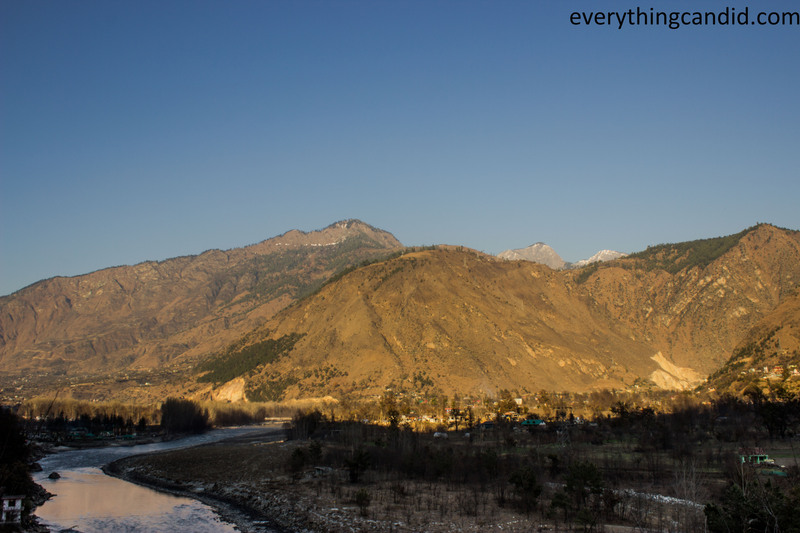 Naggar is one of the most picturesque hill location which offers one of the best view of Kullu Valley from Left Bank of Beas. This quiet hill location has a perfect aura of rustic romance around it. However, our entire focus was the road between Delhi and Naggar which would meander across Satluj River upto Bilaspur, Suketi Khad upto Mandi and then Beas River upto Naggar. 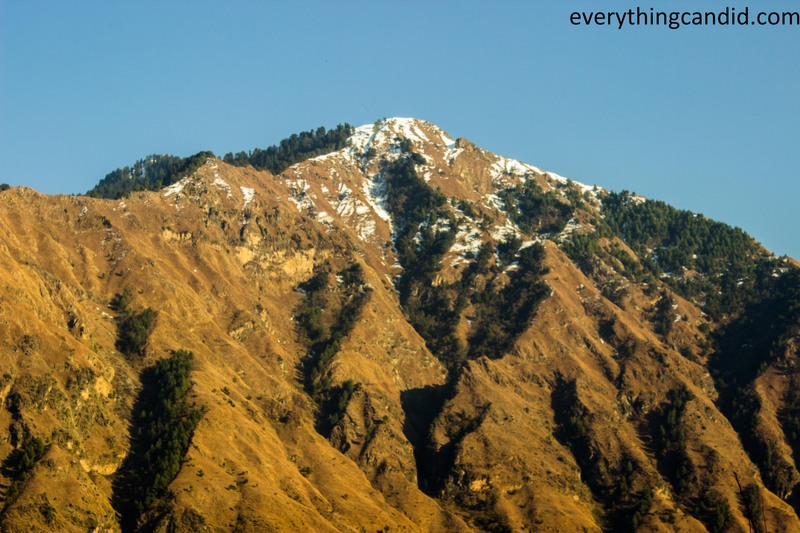 The route might not be as picturesque as the Delhi-Chandigarh-Shimla-Kinnaur route, but after Mandi the scene changes drastically for a beauty seeker and nature lover as the greens and the blues become, well, greener and bluer. We drive the entire length of approx 600KM from Delhi to Naggar in straight 15 hours out of which first 300KM were full of infamous fog of north-indian winter. 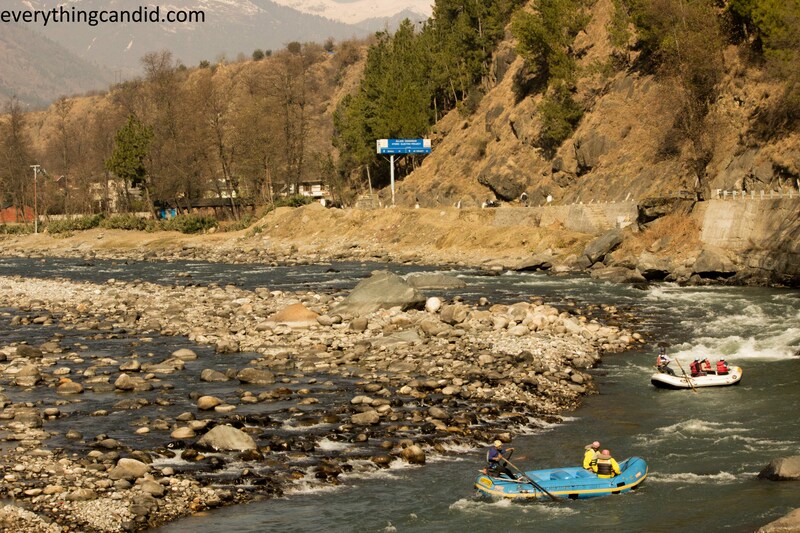 Later, up till Mandi it was routine hill area, however, after Mandi upto Naggar along the Beas River, the stretch had wonderful landscapes with white-water streams on a backdrop of snow capped mountain range. The changing vignettes of these snow capped mountains and thus of the entire scene were captured through lens on each turn. 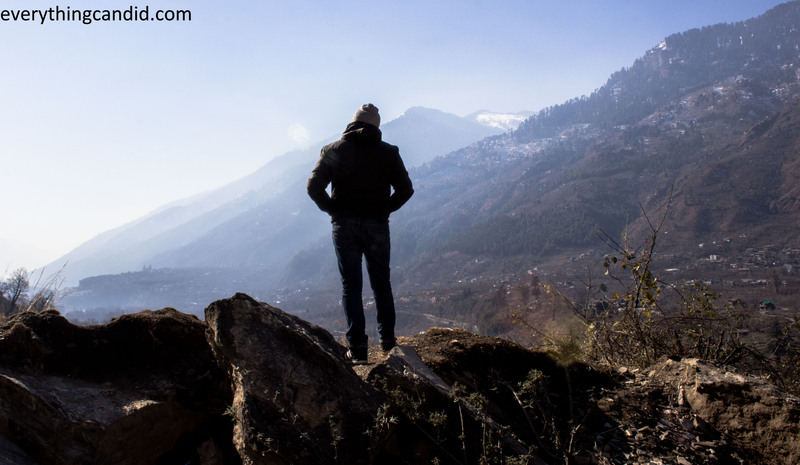 We did the entire Delhi-Naggar-Delhi stretch of 1200 KM in 45 hours including 12 hours in Nagger Castle sleeping and otherwise, further 3 hours of sightseeing and photo capturing in Naggar. So roughly 30 Hours we spent on road driving, eating or taking shots. As a self drive road tripper this trip was fulfilling, as the sole focus was on the journey alone and we did it with aplomb. 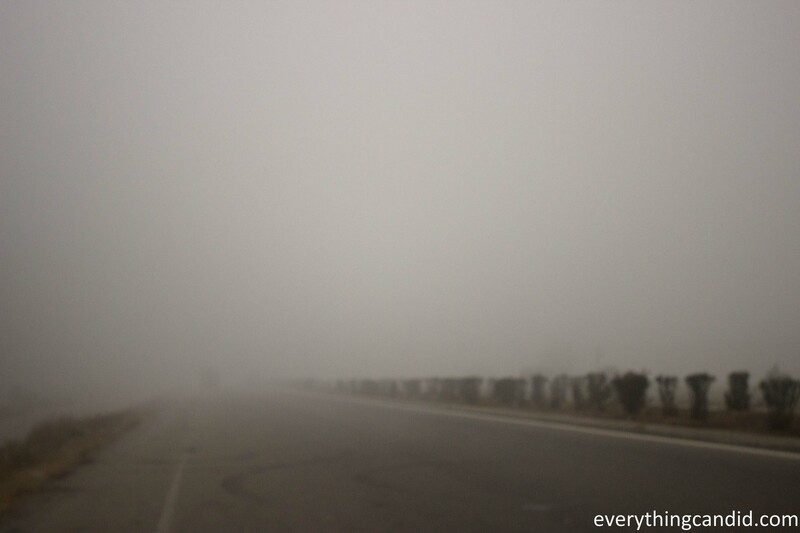 Fog on NH1 upto Swarghat: We lost precious rush-free morning hour due to fog! 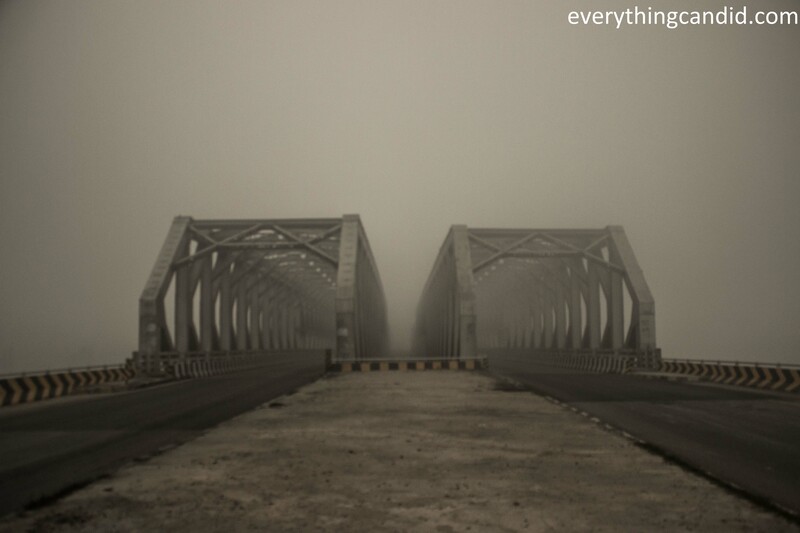 Canal Over Bridge near Bharatgarh: Due to fog it looked awesome! 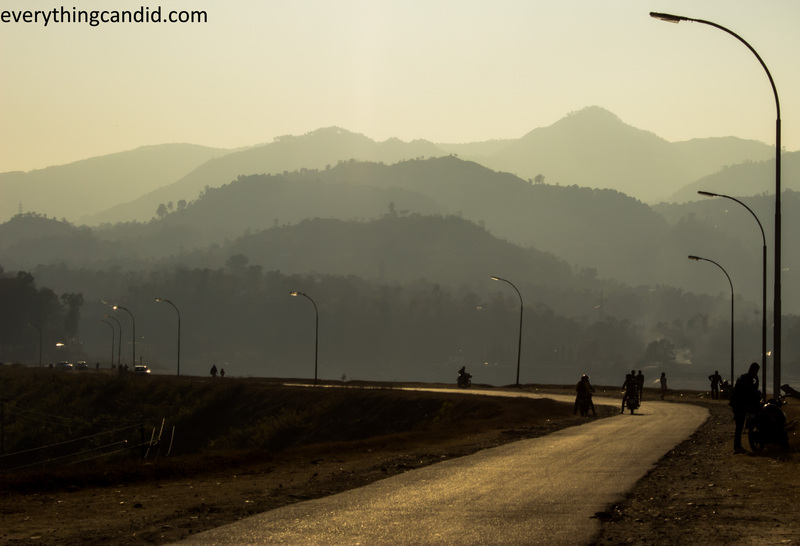 Sundernagar: Loved this place, a Hidden gem! Some day i will spend a day in this town. 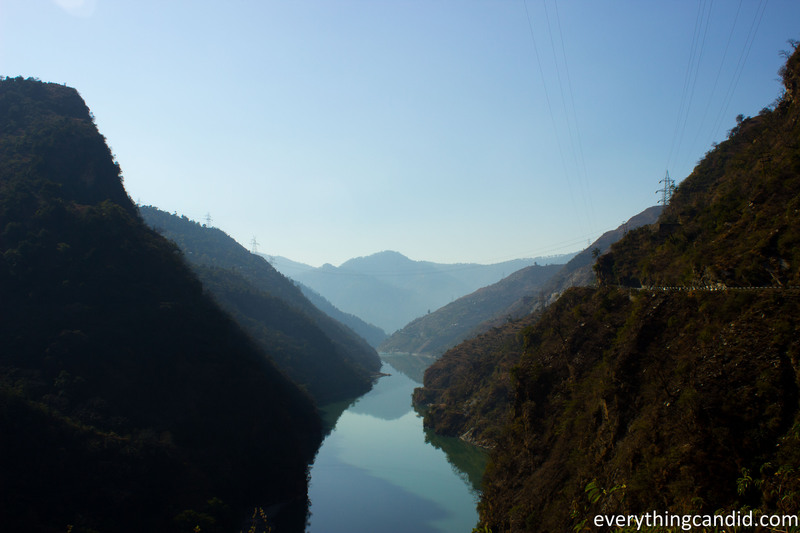 Beas River near Pandoh Dam! 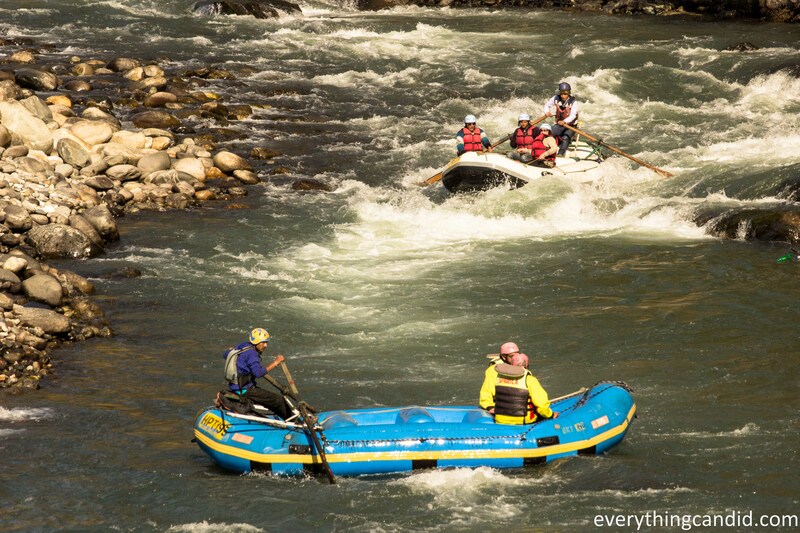 White Water Rafting in Beas! Salute to these guys for doing it in December! Road to Naggar via Left Bank of Beas River! See the golden rays on Snow Capped Montain! 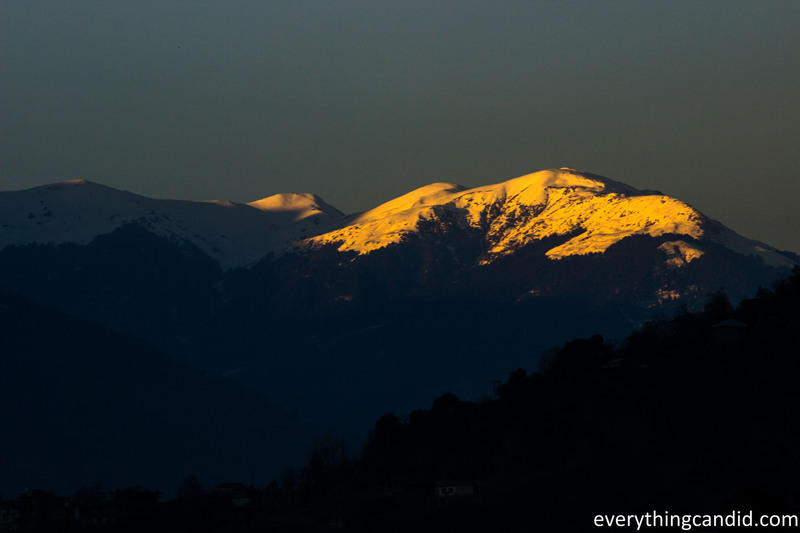 Golden Hour Capture of Snow Capped Mountain in Kullu Valley! 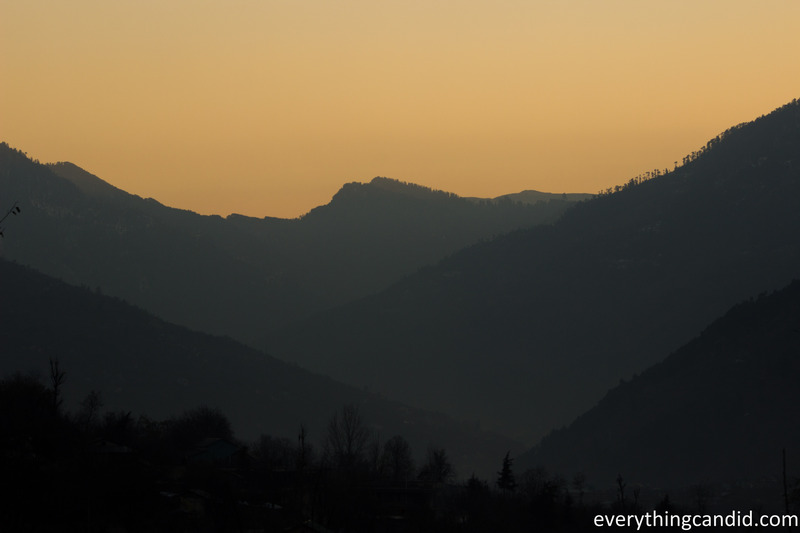 Splendid Kullu Valley in evening Golden Hours from Naggar! 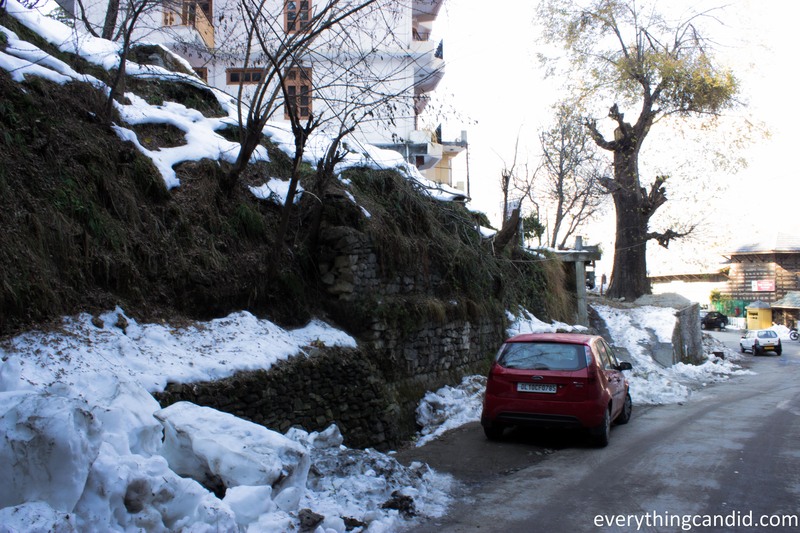 My Darling Car on chilling snow laden road in Naggar! 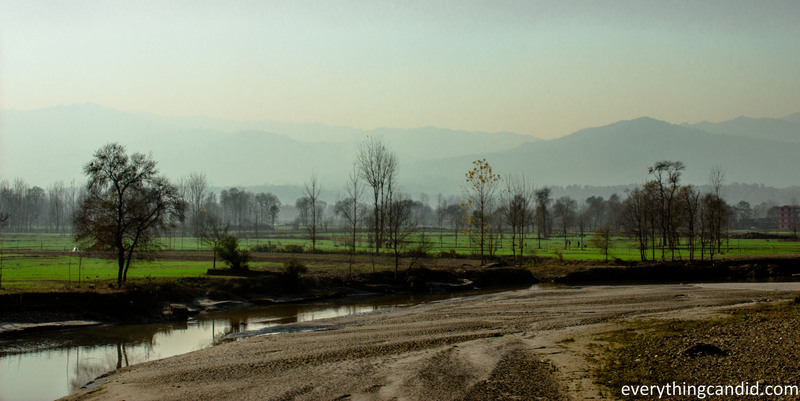 Left Bank of Beas towards Delhi: Left Bank has a lovely rustic and rawness in it! 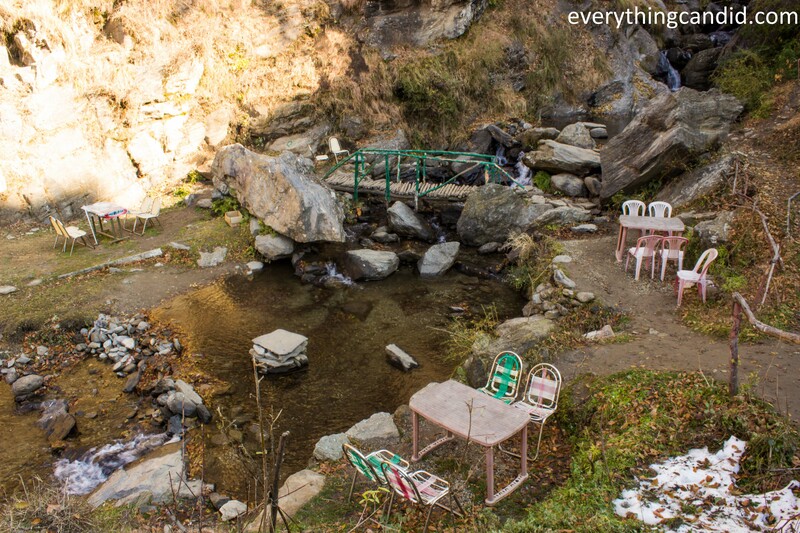 Cafe under a water fall 5 Km from Naggar: Best Maggi Point of the world! 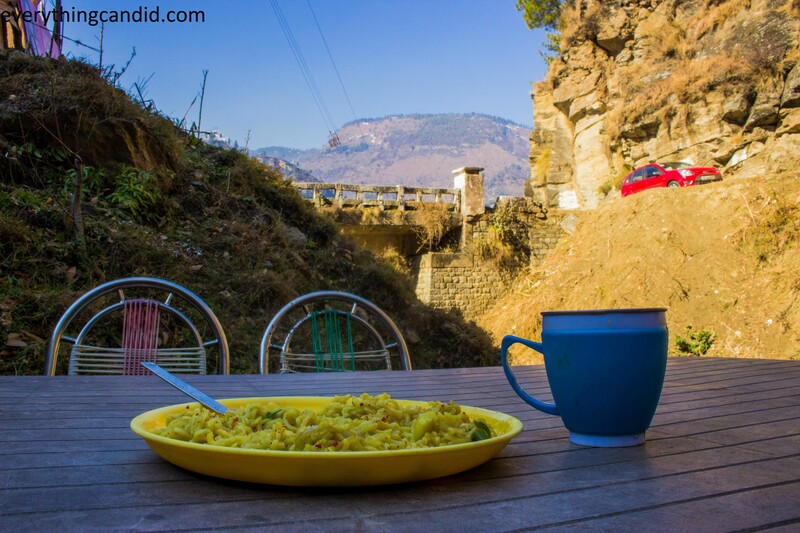 Maggi under Water Fall: It may soon become native dish of Himachal! Standing on the top of the world: Bidding adieu to an all adventurous 2014! Hail!!! 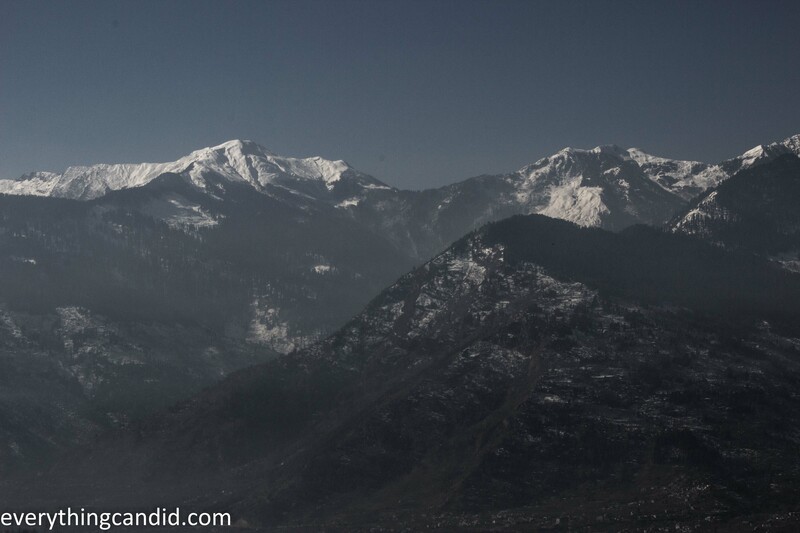 The next post on this road trip will elaborate on Naggar as an offbeat location in Kullu Valley. Keep coming!! WOW, I am missing home now. Beautiful shots. Thanks Saru! R u from HP? Blessed Soul!! Thanks!! It must have changed alot. Why dont you share your old pics…. Thanks Maniparna. Its a delight to get encouraging words from bloggers of your stature. Thanks! I can see you had a great time. Nice photographs. Keep going ! Thanks alot. I am delighted that you like it. Very nice. The fog picture is so beautiful! 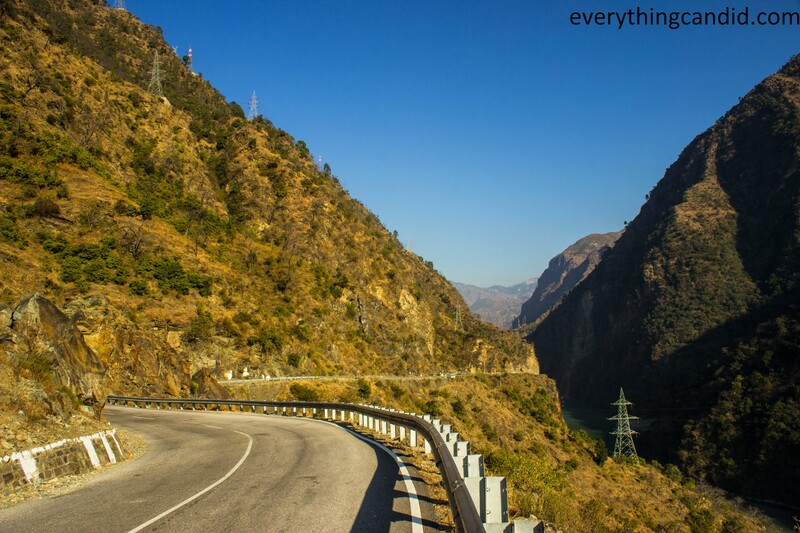 This Kullu Valley self drive road trip is absolutely breathtaking. Thanks Carl! Entire Road Trip was indeed breathtakingly amazing. The pictures of the mountain range is just amazing! Wow…this is an amazing road trip! Loved all the photographs! An excellent read. 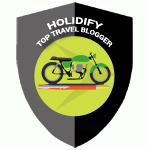 This is Subhrajit from http://www.adventureclicknblog.com and we would love to have your blogs listed in our website. 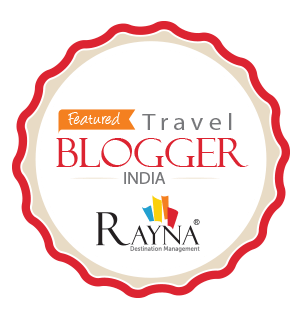 We are trying to capture all the adventure blogs at one place.We have also launched a credit system for contributions by which contributors can reimburse the points for cool travel stuffs (adventureclicknblog.com/moreblognearn.php). The credit points are a way of saying thank you for your sincere effort and time for writing. Glad that u like it. Will surely visit ur blog. Thanks again! Thanks for dropping by and liking. 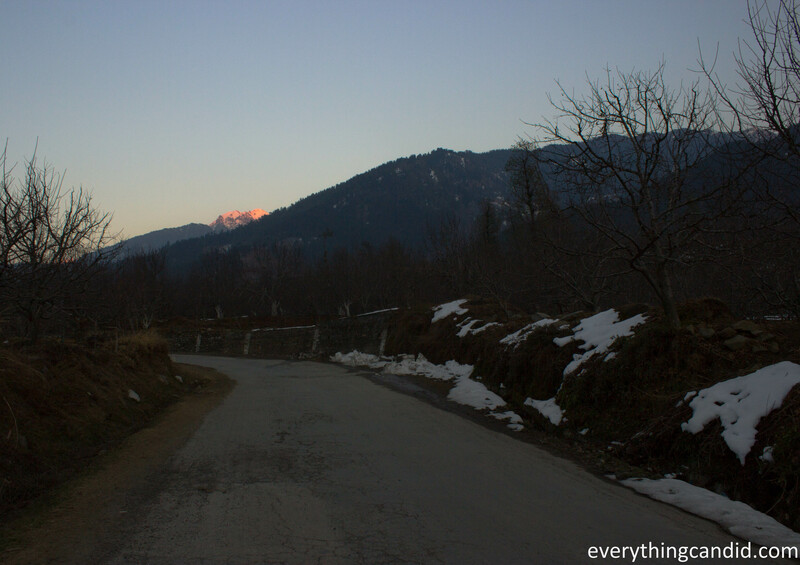 Naggar is indeed a beutiful place and road to Naggar is very scenic. Thanks a lot Natasha. I am delighted that you like them.